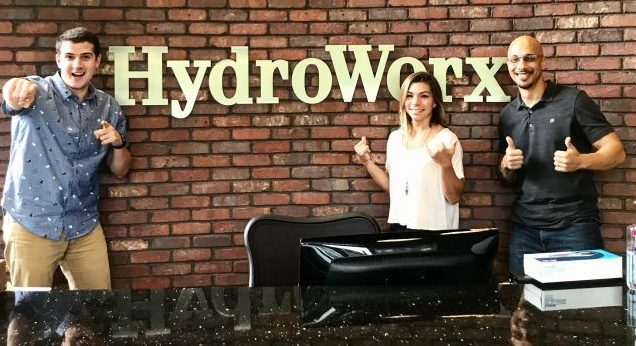 HydroWorx is a unique product development and manufacturing business located near Harrisburg, Pennsylvania. The entrepreneurial business consists of passionate people committed to innovating and servicing products that improve the lives of patients and athletes throughout the world. Our progressive efforts have helped make us one of Inc. Magazine’s 5000 Fastest Growing Companies in America and one of the Top 25 Best Places to Work in Pennsylvania. Our employees enjoy behind-the-scenes relationships with hundreds of college and pro sports teams, and work hand-in-hand with the top healthcare professionals in the world. You’ll savor catered lunches once a month and have a ball in company softball games, golf outings, and fun retreats. We’re the premier aquatic therapy equipment provider in the world for a reason — we are a team that works hard and plays hard. If you would like to be a part of our team please view our job openings below. Learn more about HydroWorx.